The Severe Asthma Toolkit (https://toolkit.severeasthma.org.au) was launched 1 year ago, at the TSANZ Annual Scientific Meeting. In its first year, the resource has been accessed by a truly global audience, with >12,000 users from over 130 countries.  The website has been shared broadly, with numerous mentions in online publications (e.g. the Limbic). 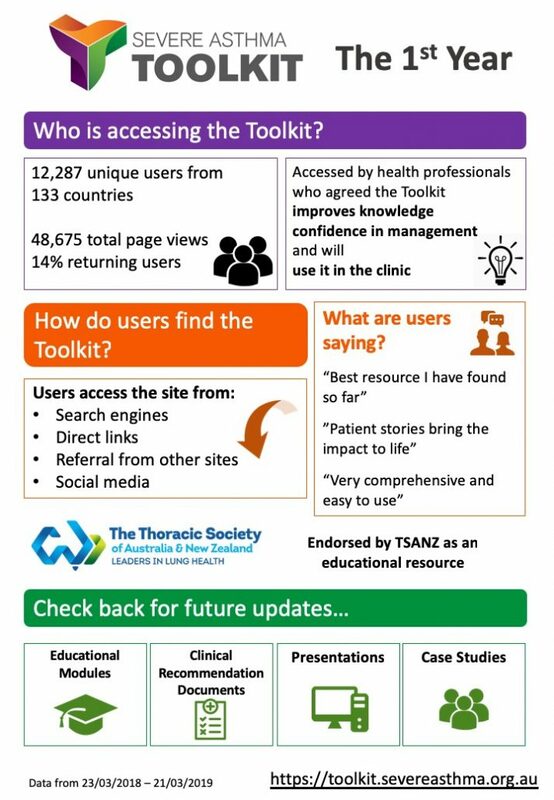 We were excited to receive endorsement by our national society the Thoracic Society of Australia & New Zealand (TSANZ) for the Toolkit as an educational resource. This endorsement gives our resource additional credibility. User feedback has been very positive and indicates that the website is being accessed by its target audience; healthcare professionals. The majority of users agreed the Toolkit improves their knowledge and confidence to manage severe asthma, with the majority indicating they will use it as a resource in the clinic. Some quotes from users include “best resources I have found so far” and “very comprehensive and easy to use”. We are pleased to share some metrics from the Severe Asthma Toolkit’s first year. Development of new content and updates are ongoing. We encourage you to continue to log-in to the site to access the latest content, evidence-based recommendations and clinical resources.